Since 1916, when Juan Gil Jimenez had the winery built, only one clear idea has the following generations in charge of the same: Doing a good job and being prideful of the Juan Gil name and commercial trademark. Juan Gil Guerrero, a founder’s son, firstly, and then his grandson Juan Gil Gonzalez, improved and consolidated the winery, applied the traditional knowledge of their job transmitted from parents to children. Nowadays, the fourth generation, linking the tradition with the technical revolution, is the one that enjoys the result of the work done by the predecessors. The Honoro Vera line of wines celebrates the maternal grandmother who was an influence on the success of the family wine empire. 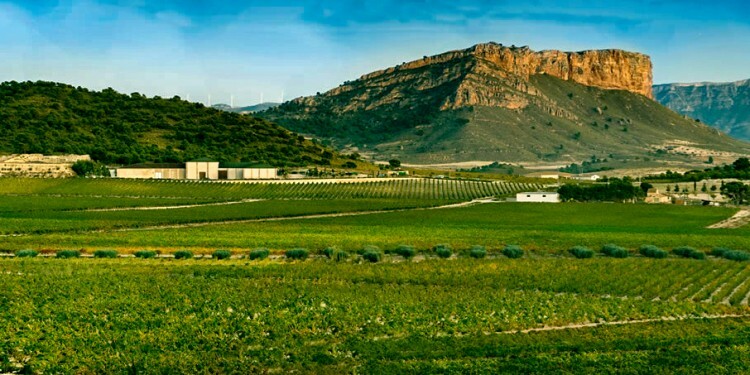 The grapes used to produce the Honoro Vera and Honoro Vera Organic wines are from various vineyards, spread across Spain and are generally located at over 2,300 feet in elevation. These various vineyards are at least over 30 years of age with little production due to the fact the vines are planted in a bed of limestone and sand. These soil beds offer very poor nutrients, which is quite ideal for this type of crop. The end results are the outstanding, award-winning wines of Honoro Vera. The wine exudes intense aromas of white flowers and fresh fruit with exotic tropical notes infused with mouth-watering aromas of lemon curd. Beautifully focused and balanced on the palate with a lush mix of apple and pear. This is a clean and juicy blush made from Monastrell grapes, better known as Mourvedre in France. Beautiful salmon color and nice strawberry flavors and aromas make this a perfect quaffing wine or one to go with salads and seafood.